We’ll assess your screenplay, as well as your budget, and recommend which format works best for you. All work is done on a contractual work-for-hire basis, so you retain full ownership of your intellectual property—as it should be. Then, with your approval, we’ll attach the creative team—the writer who will adapt your screenplay into a comic/GN script, and the art team that will bring it to life! Storyboard only works with established professionals—from A-list “name” talents to the hottest new writers and artists in the industry today. 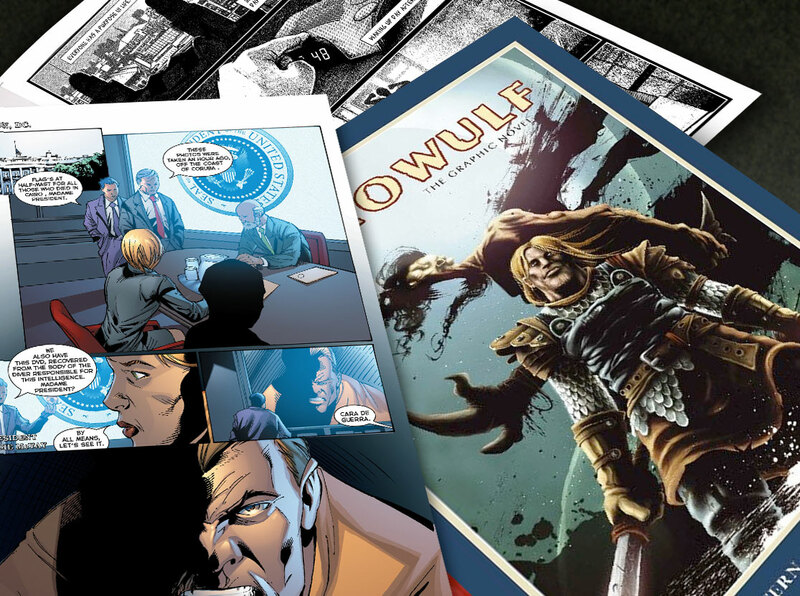 You can submit your creator-owned book to any of the well-known comic and GN publishers, including Marvel, D.C., Image, Dark Horse, IDW and others, as well as the major New York publishing houses that have established GN imprints. You’ll also have the option of self-publishing, with both print and digital editions, through such companies as Amazon’s CreateSpace, Lulu and ComiXology. What are you waiting for? Fill out the information below, and we’ll contact you shortly.